This lovely boutique property on Kauai has only 121 rooms. Each room is well equipped with air-conditioning, 42″ HD Cable TV, High Speed Internet Access, Refrigerator, ceiling fans, Nespresso Espresso Coffee Maker, Safes, Ipod Docking Station, Anichini Bathrobes & Slippers, and last but not least your own private lanai. 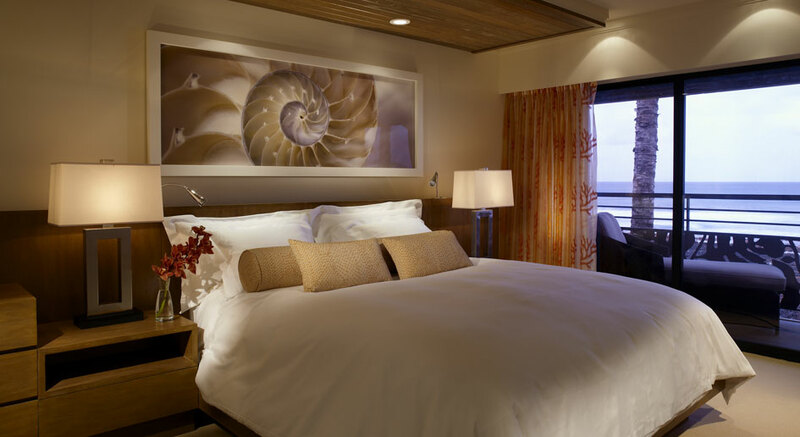 Room categories include Ocean Front to garden view rooms, 1 or 2 bedroom King bedded suites. The rates include pool activities as well as fitness center admission and twice daily maid service. Ko’a Kea would be the perfect spot in which to elope! Weddings can be arranged on the island. Because Ko’a Kea is a small boutique resort on Kauai, large groups cannot be accommodated, so that the ambiance is not affected. Many non-motorized activities at Ko’a Kea are included. Guests can choose from a multitude of soft adventure activities by engaging in lessons or renting equipment. Hiking, horseback riding and golfing are easily accessible and are spectacular ways for guests of Kauai to discover the island. This side of the island has ideal weather almost all year long making it an ideal location for enjoying outdoor activities. Children are allowed at this resort, however there are no specific family plans or children’s programs. As such, the typical clientele here will be couples. There are special offers at Ko’a Kea Resort depending upon the time of year. The best option is to send a quote request form and let us know your flexibility with dates.